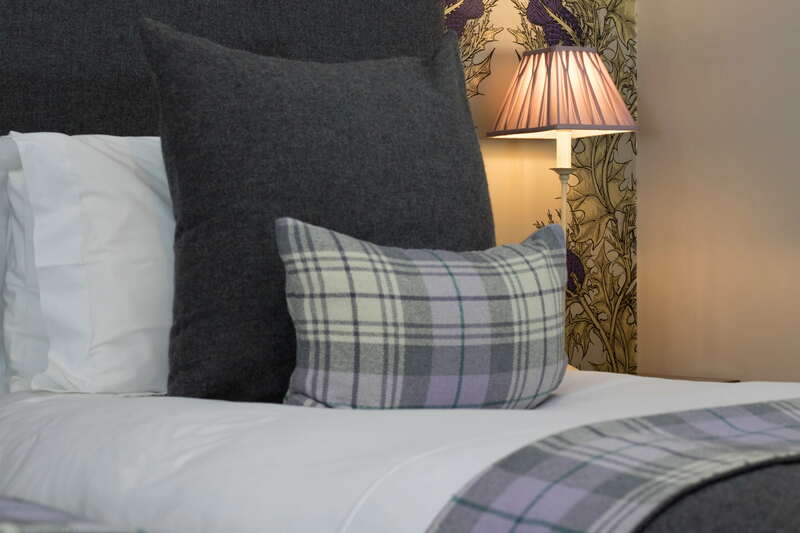 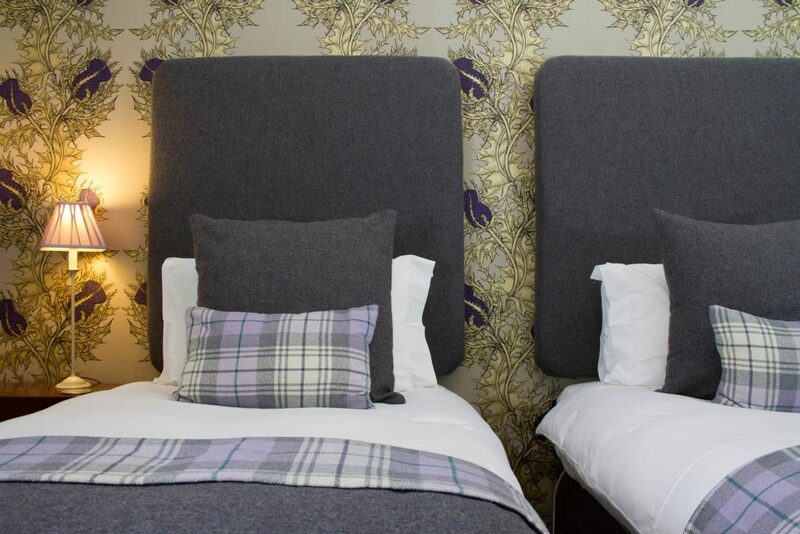 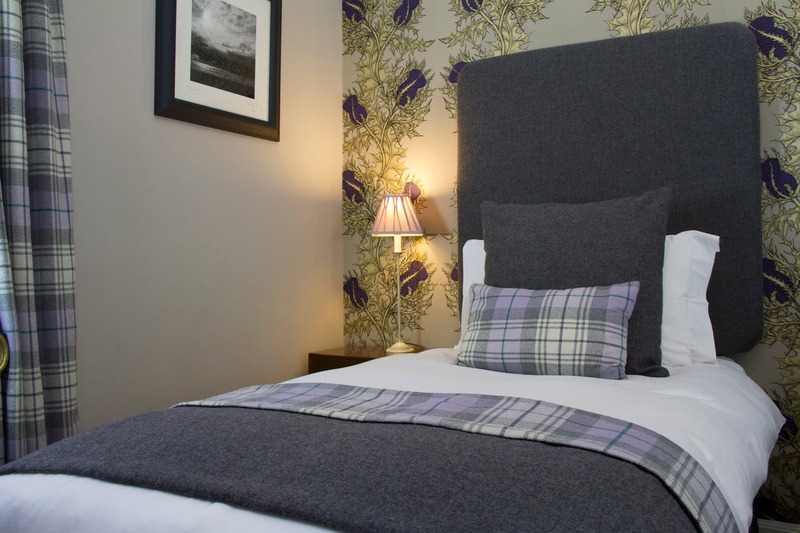 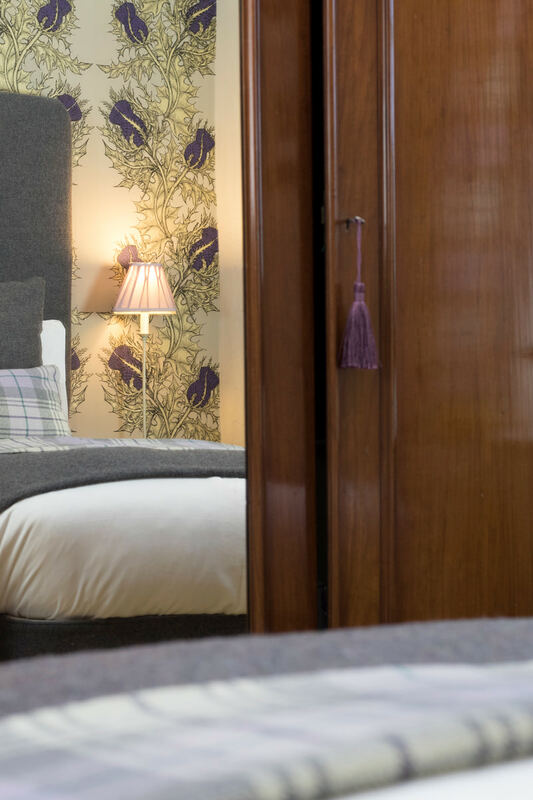 Room 4 is a cosy, ground floor twin bedroom with two comfortable single beds. 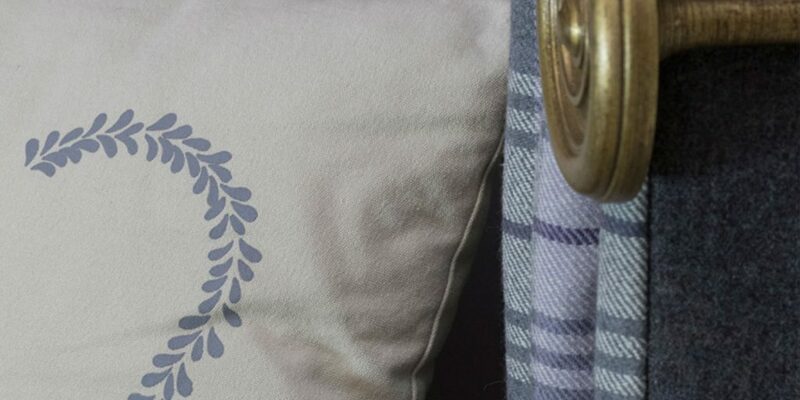 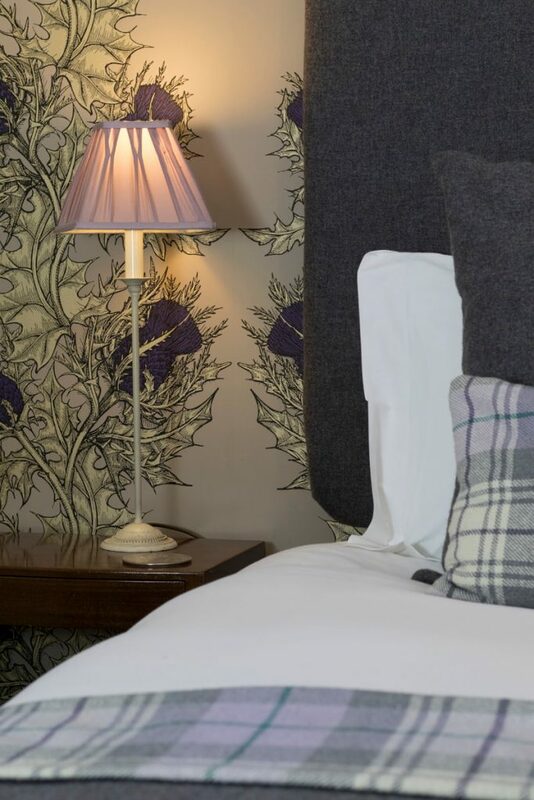 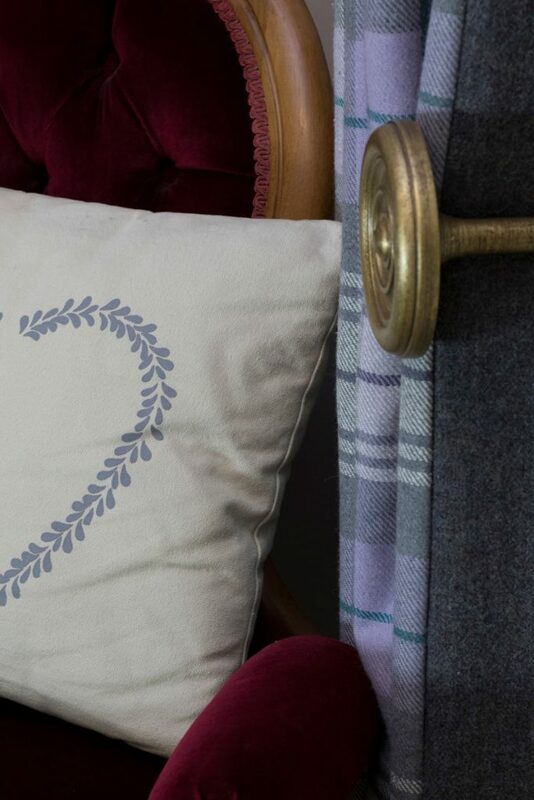 It is beautifully decorated with hand printed Timorous Beastie wall coverings and tweed fabric to complement. 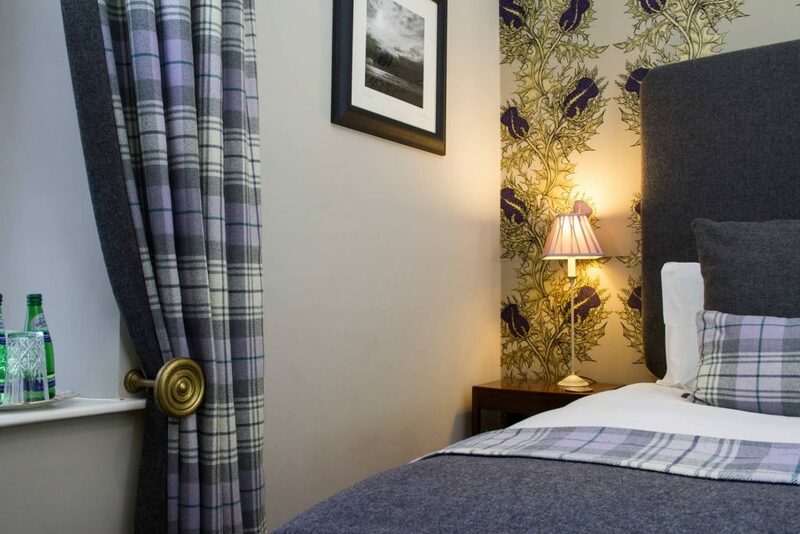 This room has views to the side of Glenegedale House over the garden. 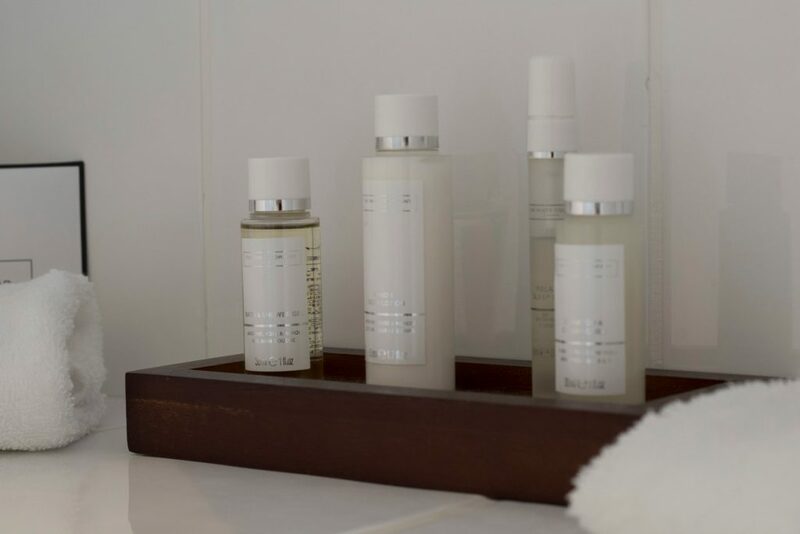 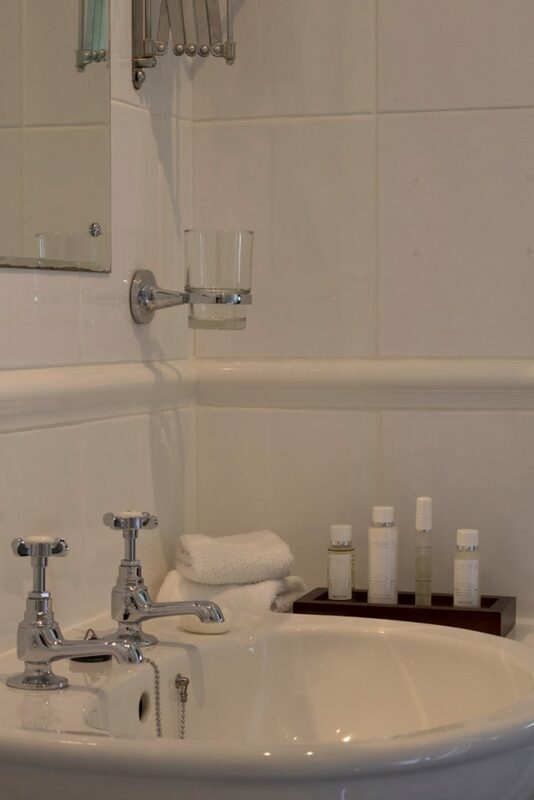 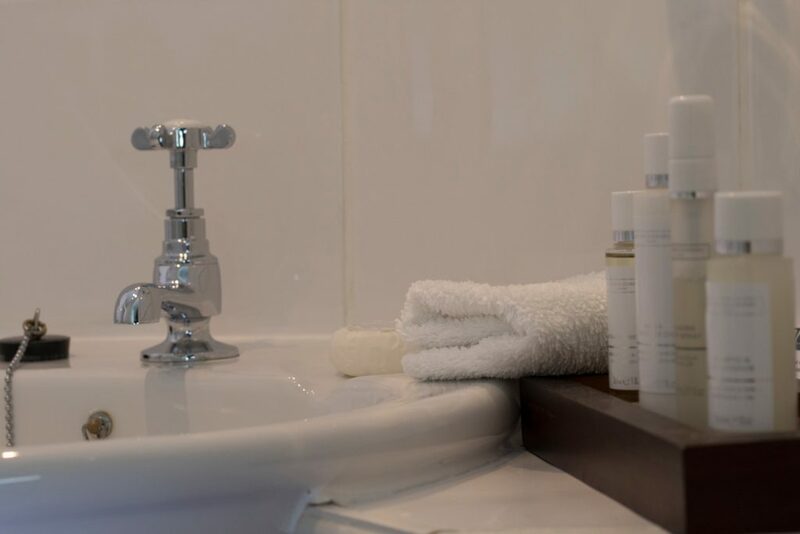 The small ensuite has a double shower and fluffy, large white towels and beautiful White Company toiletries.